The BeLbird: Are we Digital Citizens, or rather Citizens in an increasingly Digital World? Can you hear the Tui sing? 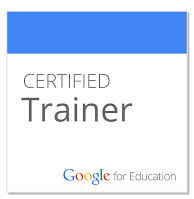 German born Kiwi; wife, mother, Lead Learner, certified Google for Education Trainer, Microsoft Innovative Educator. All views expressed are my own and do not necessarily reflect the views of my employer. Are we Digital Citizens, or rather Citizens in an increasingly Digital World? A more narrow definition of this term to include all persons born after 1985 has regularly been criticised as it does not take account of the variability in exposure to and confidence in use of technology (2). Acknowledging the variability and at the same time the efforts our schools, communities and society are making to allow all our young people to access technology, I belief it is fair to say that in many of our schools we are teaching Digital Natives, and many of we teachers are Digital Immigrants (that is we started using technology later and are less comfortable with it than our young people). Attached to the notion of being a citizen is the term citizenship (3). There are different sub-definitions of citizenship, one thing they seem to have in common is the notion that rights and responsibilities are attached to this citizenship. 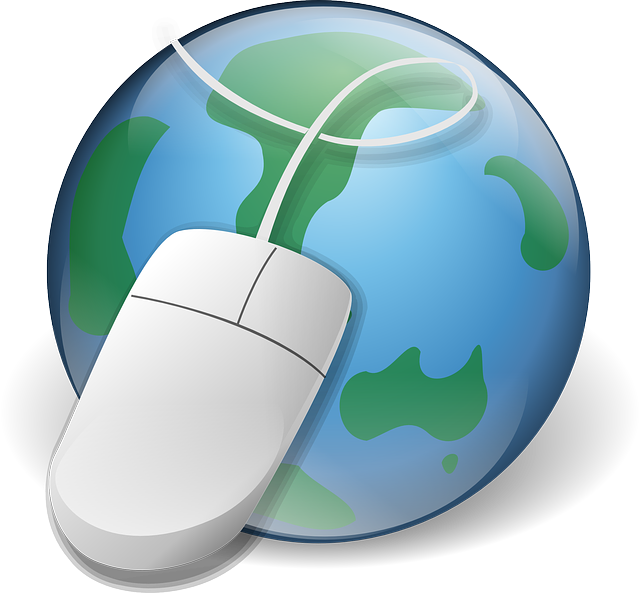 Where the digital world, which our students increasingly frequent, differs from the real world is that with just a mouse-click you could be visiting any state on earth without even knowing. How do you know what rights and responsibilities apply in this context? Who makes the rules, who enforces them? Does the breaking of rules necessarily preclude from participating in the digital world or is adhering to the rights and responsibilities a voluntary act? This definition of digital citizen appeals to me as it shows how there is much more to it than simply cybersafety. However, the anonymity of the global digital world combined with its infinite memory leaves careless users with a digital footprint that is nearly impossible to remove and can affect their life both in the virtual as the real world. The advent of the access to the digital world (5) has led to an explosion in internet use (6). Via social networks, more people than ever before can connect with each other and can work towards a common good (7). Understandably, some users are struggling with the anonymous nature, with the sheer size of the internet, the amount of information available. It is easier to fulfil your responsibility when you are face-to-face with someone, when there is little temptation around you to make you wander off task. However, the world-wide-web, with its multitude of colourful visuals and enticing games, apps and programmes, provides lots of distraction and temptation to our young and even to older people as they navigate their original task. Be honest, how often have you been on another pathway when listening to a speaker in a workshop? The argument can be made that not everyone has access to digital tools and information hence the term ‘digital citizenship’ should remain. However, the use of the phrases: ‘connected [...] learners’, ‘effective users of communication tools’, ‘international citizens’ in the vision of the New Zealand Curriculum (8) makes it very clear in my opinion that we are tasked with preparing all our young people to actively participate in our increasingly digital world. Do we really need digital as the descriptor? Why not just call it citizenship? Our students and we are no longer just citizens of a country, New Zealand, we are also citizens of a digital, global world. To separate citizenship and digital citizenship is no longer relevant in a world that is permeated by digital use; teaching them as two separate topics makes them harder to grasp and less embedded. Keeping ‘digital citizenship’ and ‘citizenship’ separate is continuing to live in the world of the ‘digital immigrants’, not preparing our young people for the future where digital tools are as accepted and taken for granted as today’s electric lights and flushing toilets. To be responsible citizens in our increasingly digital world, we need to fulfill our rights and responsibilities in all settings we frequent, both physical and digital spaces. Acknowledgement: I would like to thank my critical friends +Andrew Cowie, +Annemarie Hyde and +Sonya Van Schaijik for their incredibly helpful feedback and comments to my ideas! Special thanks to +Sonya Van Schaijik von inviting me to be part of #edbooknz! Hey Monika, citizenship has been particularly fascinating as we have discussed and dissected, added to stripped back and looked again with different eyes. The interesting part has been to identify the legacy we leave as part of our own learning. Thanks for visiting, I love to know you were here! Please leave your comment below. 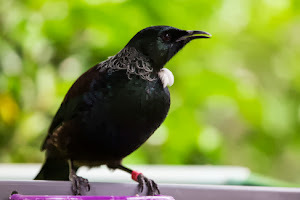 The song of the Bellbird gets sometimes confused with the song of the Tui. When I grow up, I would like to "sing" as beautifully as the Tui. 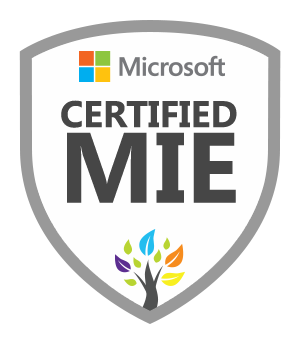 So you are a Connected Educator - what now?